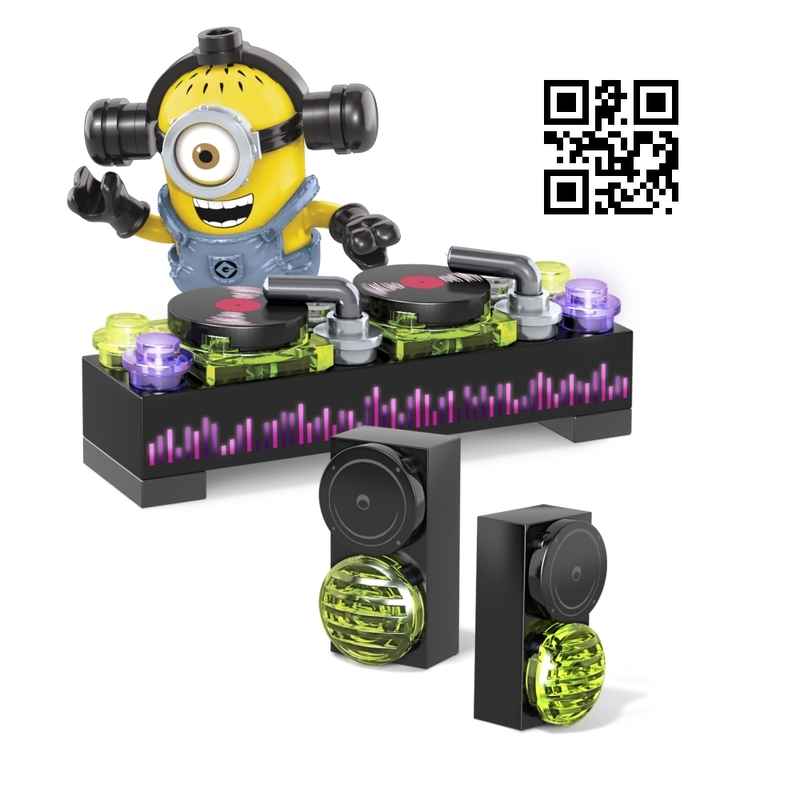 Product Description: Hey DJ, turn the music up loud at the Dance Party by Mega Bloks Despicable Me™. Set up the speakers, spin the records and get the crowd jumping to your awesome beats! You can build your DJ Minion and customize him with accessory headphones. Put the needle on the record and play something happy that’ll get all the Minions tripping all over themselves to get to the dance floor. Features: • One buildable Minion character with attachable headset • Interchangeable parts, including overalls, goggles, arms and feet • Fully buildable DJ table with spinning decks and two speakers • Collect them all and build your own mischief!